If you’re in your young twenties, you know that trying to put together a home (or apartment) is all about the hand-me-downs, deals, refinished garage sale finds and IKEA hacks. And that’s where we’re at. Honestly, it’s a great place to be. I have a really eclectic style, so this is my kind of thing. I love the challenge of taking things we’ve had, things we’ve been given and making them work for our space. So, most of our home projects have centered around this idea. By the way, I don’t know if anyone else has noticed how great it is to do a home project together as a couple, but it is! I mean, it really teaches you a lot about the other person and both of your strengths or weaknesses. For example, I am really terrible at following directions or instructions that come with a project…so that’s usually Matt’s job. And he’s really good at it. So, a few weekends ago, my husband and I finally got started on our latest IKEA hack. 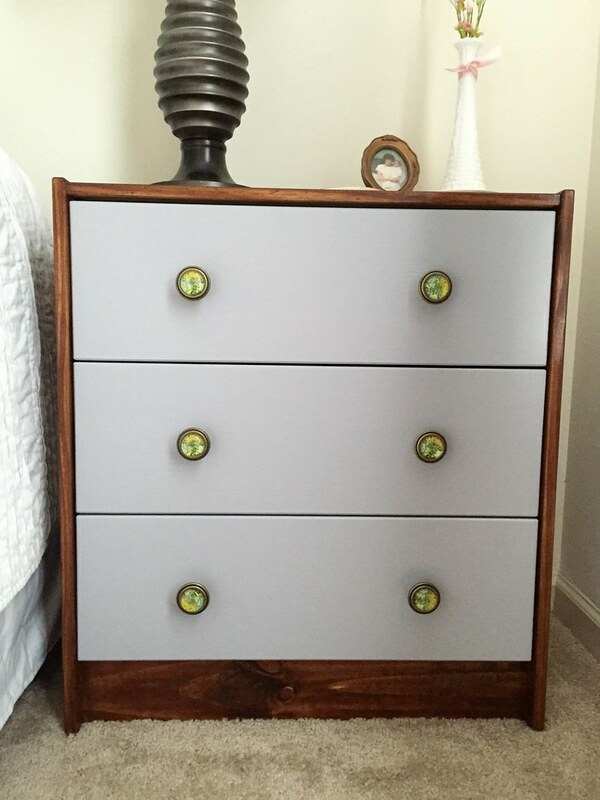 We chose small, inexpensive dressers that we intended to use as nightstands. We have a small space, so we are always looking for more storage and these gave us exactly that. Last fall, we used a bigger IKEA dresser and turned it into our current dresser. 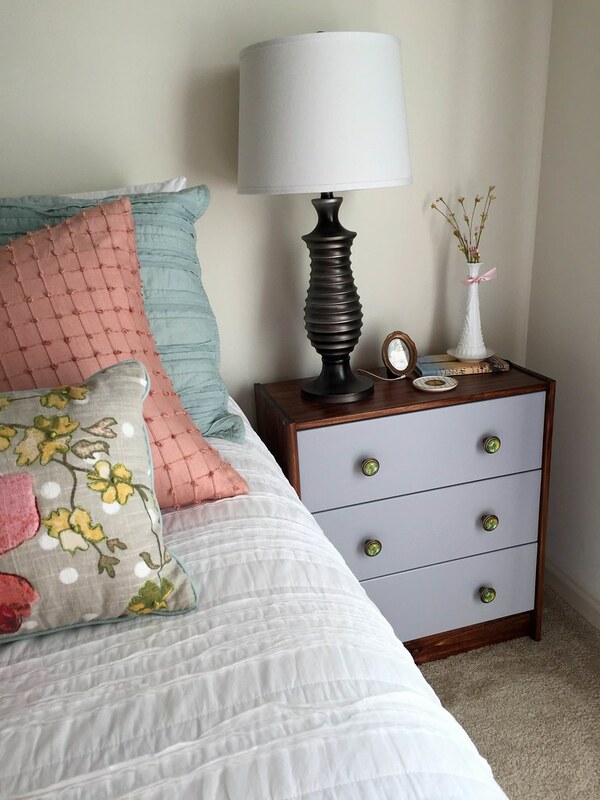 For these nightstands, we wanted something that would match the bigger dresser well and not break the bank. I was really impressed with how much storage these IKEA dressers have provided and I love that they were just plain old unfinished pine wood. 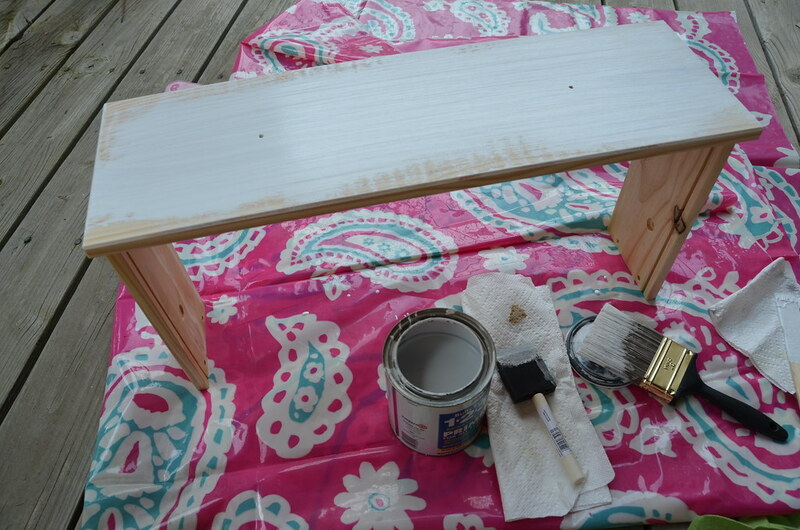 No extra steps to prepare the dresser, just assemble and paint or stain. 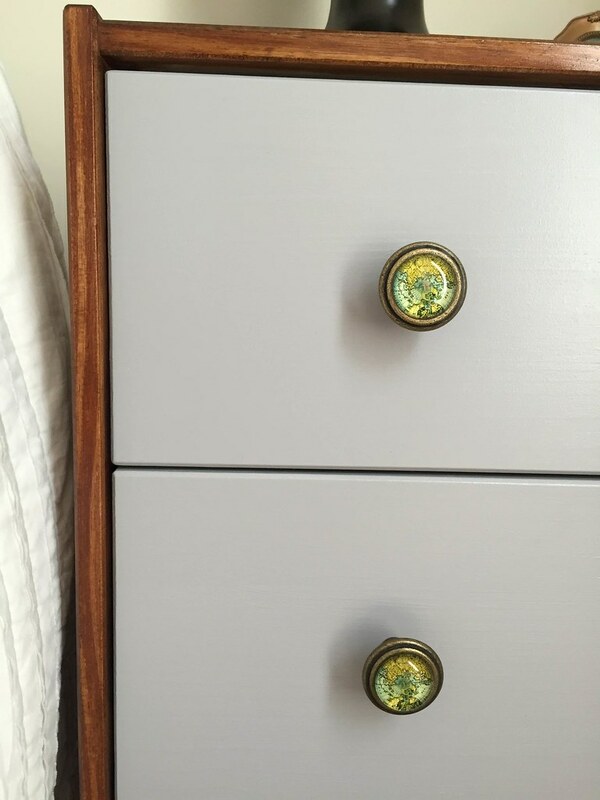 So, here’s how we turned a $35 IKEA dresser into the cutest nightstand that can be used in just about any room. *Just a little tip-wait for Hobby Lobby to have its knobs and drawer pulls 50% off, and then get your favorites there. I haven’t found a better or cheaper place. 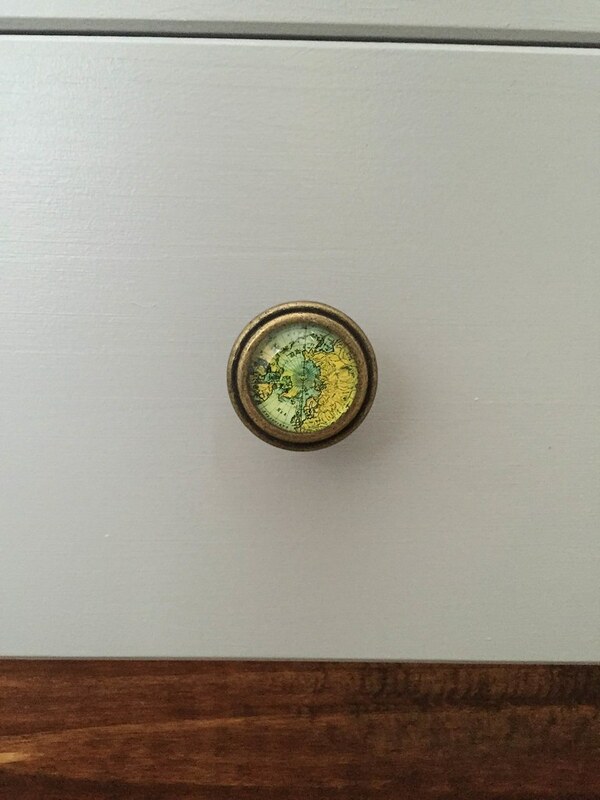 And the right knobs can make any awesome piece of furniture that much better. 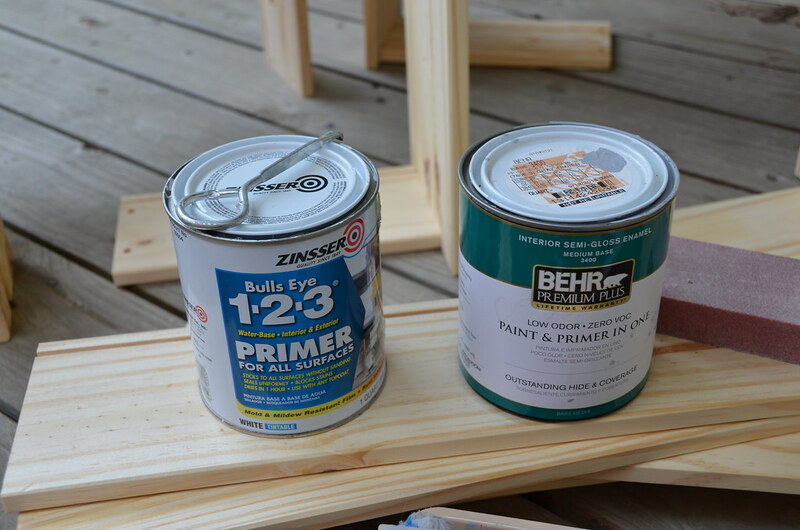 For our projects, I used these for our larger dresser and these for our nightstands. I am just so in love with the map ones. I’ve had my eye on them for a while now, and I’m happy to finally call them mine. Haha. 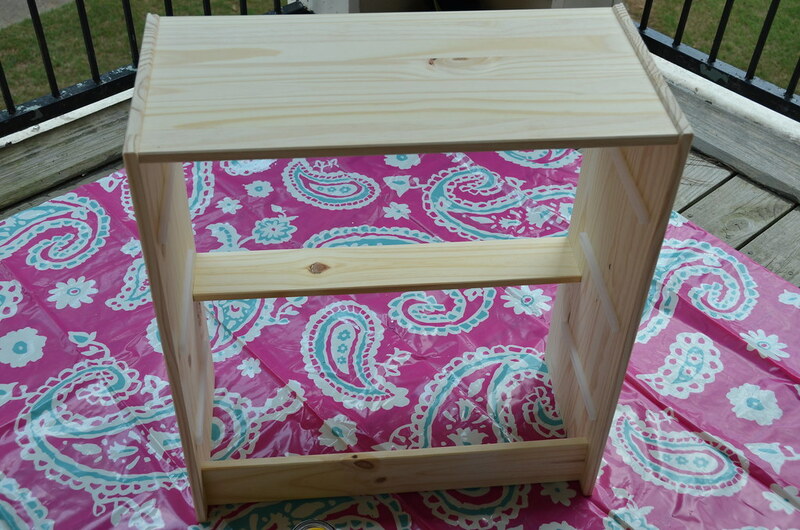 And here’s my step-by-step instructions on how to make these cute little nightstands! 1. 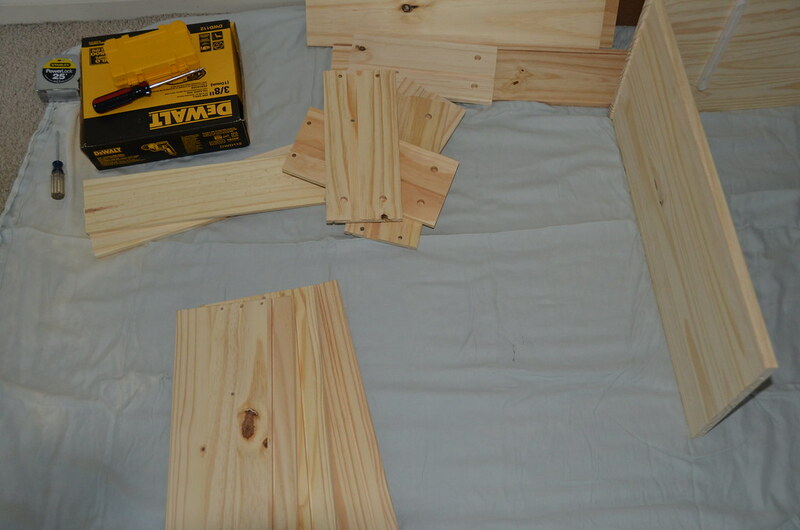 Assemble and sand the dresser. 2. 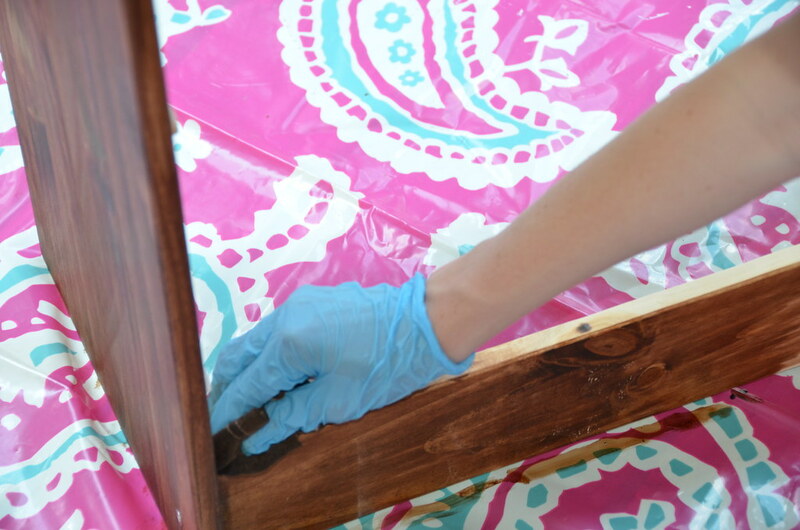 Stain and seal your dresser in a well ventilated area. 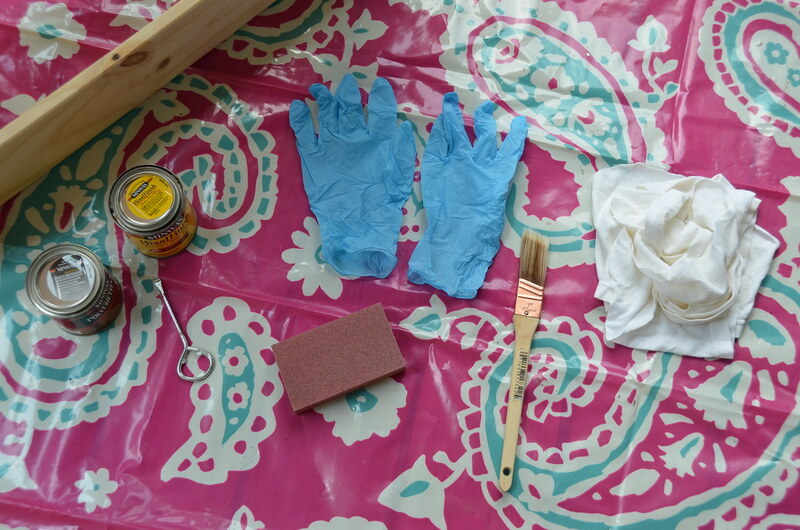 Dip the end of a rag or paint brush into the stain. I use both, just depending on what I’m staining. Rags are easier clean up. Be sure to have some sort of sheet or old shower curtain under the piece you are staining, because it can get a little messy. 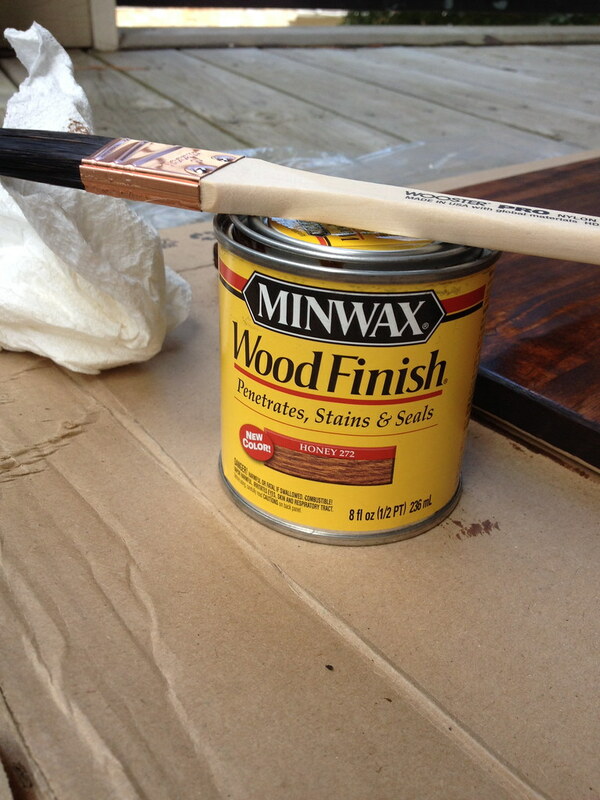 After you’ve put the stain on the wood, let it sit for the instructed amount of time. Then wipe it off with a rag. Keep in mind you may have to do several coats eventually. 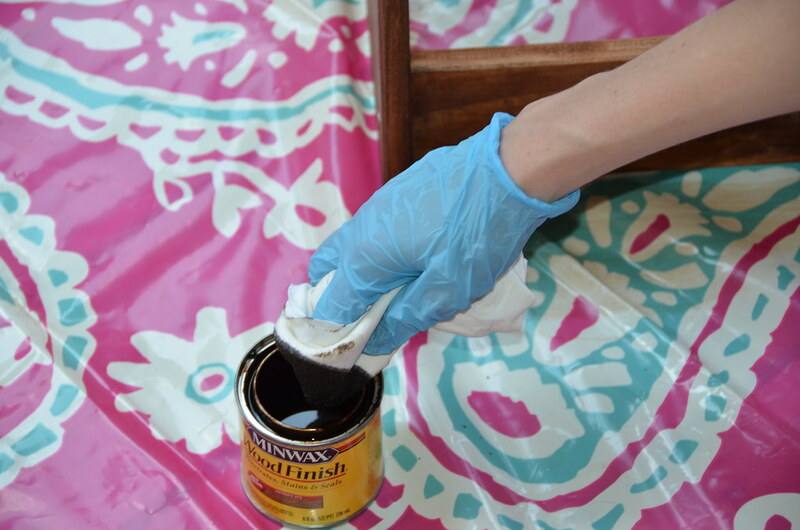 When you’re done, don’t forget to seal your stain with some sort of polyurethane finish. 3. Prime and paint whatever pieces you’ve chosen to paint. 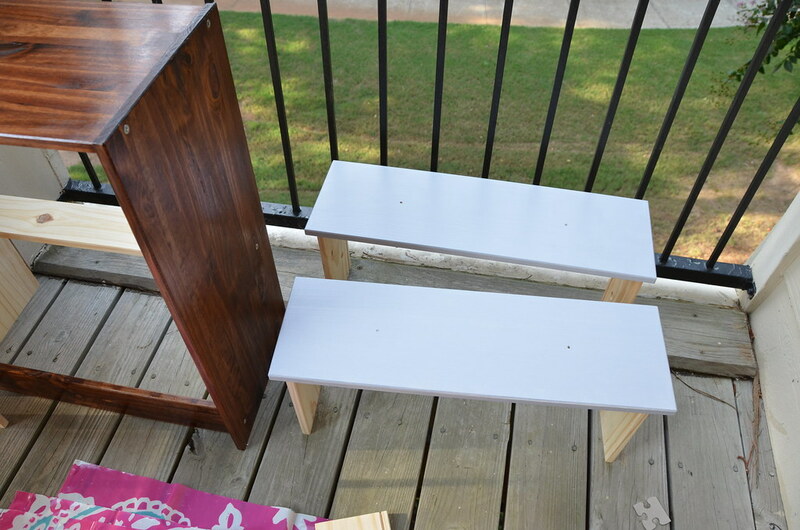 For this project, we chose to only paint the front of the dresser drawers, and we stained the other parts. 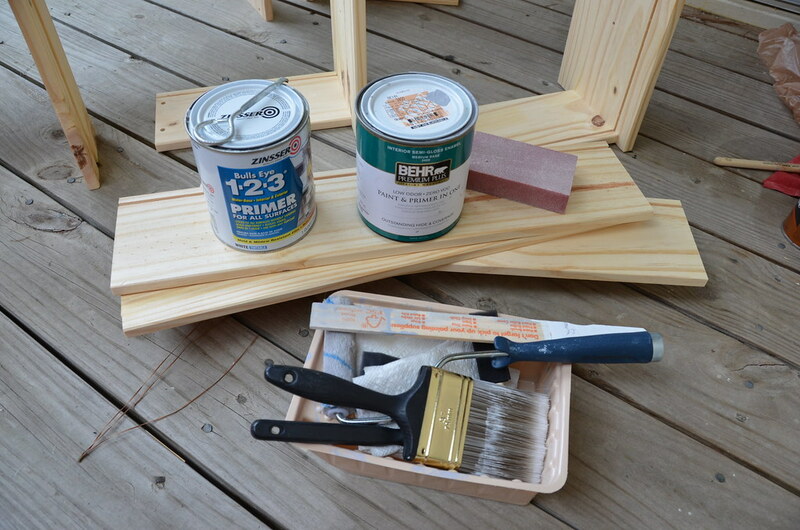 Remember you’ll need at least one priming coat and possible 2-3 paint coats depending on your wood. 4. Let everything dry before putting together the final product. I like to let anything I paint or stain dry for a few days before I get it settled in the house. The finish you have to put on stain really smells awful, so you just don’t want that smell in the house for a few days. I also like to give it time before I put on the knobs. 5. 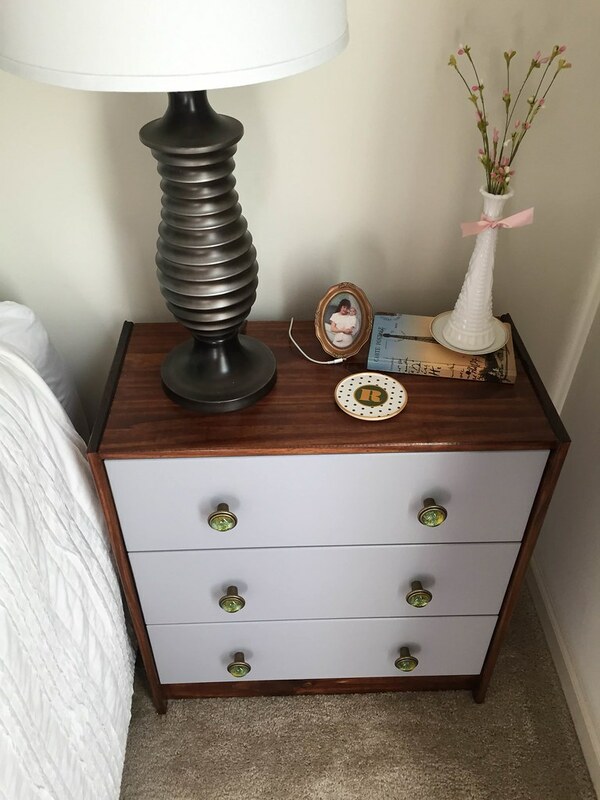 Add knobs and place dresser in its new home.